1. The learners reject the system (ie. Moodle) due to perceptions over it's "modernness"
3. Teachers like the idea (ie. microblogging) but just find the whole experience "bolt on"
It's this return to email that I wanted to embrace, as it seems that everyone knows and likes email. It's stood the test of time. So, how do I integrate email into my workflow for managing student work? Every Evernote account has an associated email address (you can find it under Account Info). Creating a note is as simple as sending an email to that address. Since anyone can send an email to the address, anyone can create a note in your Evernote account! And, with some simple Evernote-fu, you can use this to manage student work efficiently. 2. 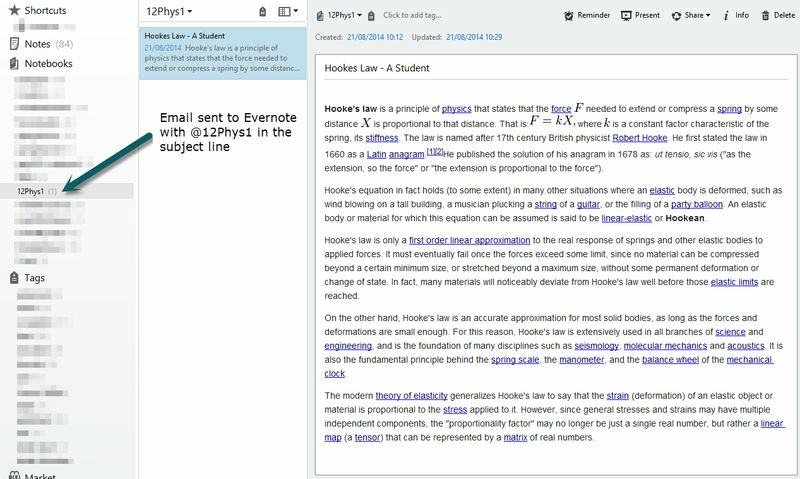 Allow students to send an email of their work to your Evernote email address along with “@12Phys1" in the subject line to designate which notebook it will be sent to. Through this process, all the students in your class can use email to submit their work directly to your Evernote account. 1. Create a free Postach.io site: Once you create your first site, you’ll get a new notebook in Evernote to act as a source. 2. 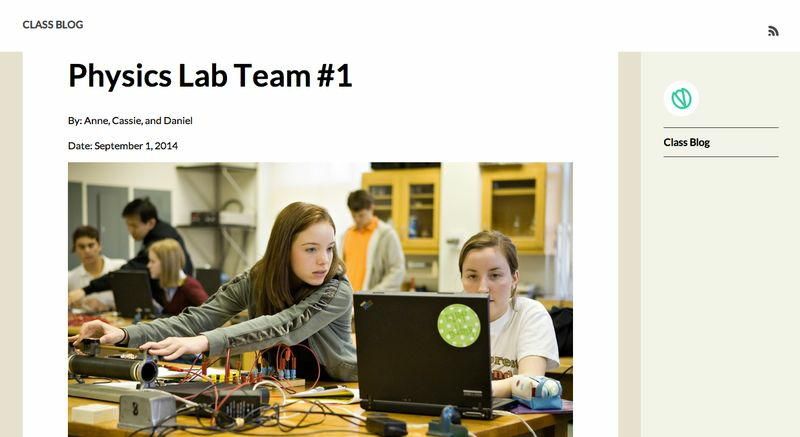 Set a password on the blog so that only you and your students can gain entry (optional paid feature). 3. Name your new Postach.io notebook (in this case - “ClassBlog") and publish notes from it using the tag “published". Students can now publish their work to the class blog and share what they’re doing with classmates and family. This tutorial was adapted from an original post by Glen Gilchrist (@mrgpg), found on his personal blog, here.